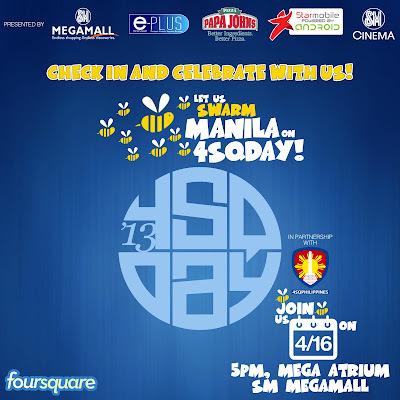 SugarSmile: Check In and Celebrate the Manila Foursquare Day! #4sqDay is a day to reach the Foursquare community. Since it made a lot of impact in its users' lives, Foursquare is taking social networking yo a whole new level. Foursquare Day activities vary in each locality. While some choose to celebrate the day through get-togethers and/or lectures, others do it the Foursquare way – a check-in. 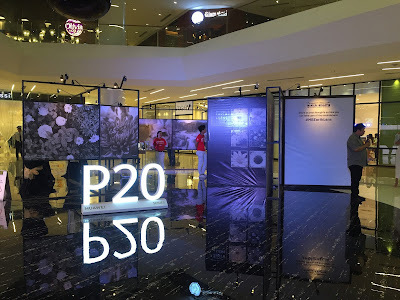 So here in the Philippines, you can meet and greet the Foursquare Superusers and they are partnering with SM Cinema’s e-PLUS along with SM Megamall, Starmobile and Papa John’s Pizza. 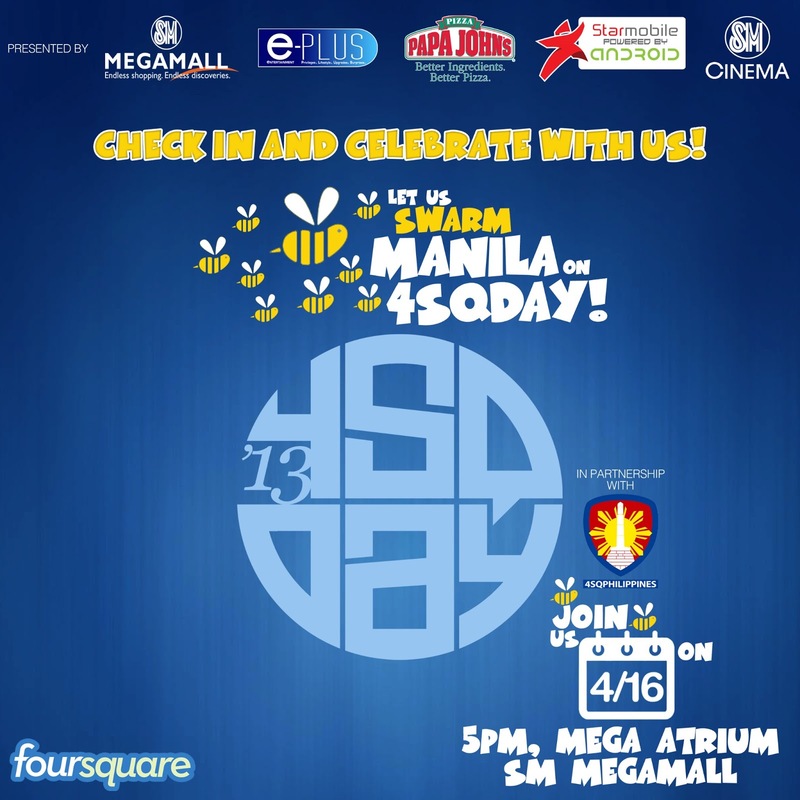 Its a fun-filled afternoon of activities on April 16 at SM Megamall Atrium.